The Genesis Museum of Creation Research is not underwritten by any one church or denomination. It is a Judeo-Christian, Faith-building ministry, joined with Creation Research and exists to display evidence for the truth of the Bible being God’s Word, and Christ Himself being our Creator, Sustainer, Saviour, Lord and Judge. The Saviour who sent us into all the world to preach His gospel, is the Creator of all, and the Genesis Museum of Creation Research is committed to demonstrating the Truth of the Bible – from the very first verse. In the Book of Genesis, the Bible gives us a clear description of how God created the heavens, earth, and everything that is in it, in six literal days, a few thousand years ago, and that the whole world was destroyed by a worldwide flood in the days of Noah, as judgement on mankind. Secular scientists often disagree with this explanation, placing the earth in a ‘billions of years’ timeframe. But when we look at the evidence around us -and what science actually shows – nothing we see contradicts what the Bible says. What we read in God’s Word agrees with what we see in God’s world. Creation is the foundation of the Gospel. Without a literal Creation and Fall of Mankind, there is no need for a Saviour. If we cannot take the first eleven chapters of Genesis literally, how do we know that the Gospels can be taken literally? 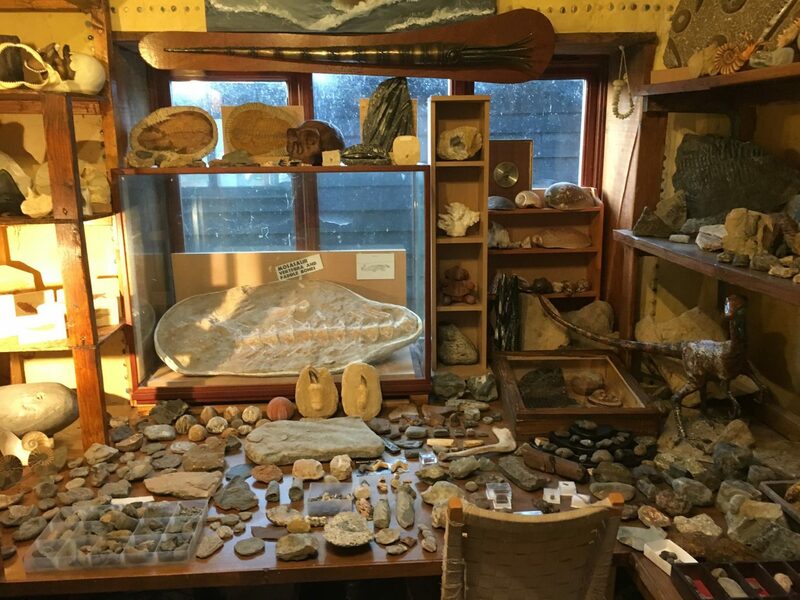 But why does the Genesis Museum of Creation Research focus on fossils? Evidence from around the globe shows that fossils and the geological formations that they are found in can only be formed in the worldwide flood of Noah’s day, as described in the Bible. However the popular and secular worldview promotes the hypothesis of ‘billions of years’ and a philosophy known as ‘uniformitarianism’, the idea that rock formations and fossils take many millions of years to form. This belief cannot fit in a literal interpretation of the Bible. This has caused some people to reject Genesis, and even the entire Bible. Our mission is to show people, Christians and non-Christians alike, that God’s Word CAN be trusted, and it fits perfectly with science. This makes sense, as the Bible is God’s written Word, and is true in every part. God is also the Creator if the whole universe, and therefore, it is logical that what we observe fits with what we read in the Bible. Set in the lovely Norfolk countryside, the museum is home to one of Norfolk’s greatest fossil collections, housing over 3,000 fossils. In a visit to the Genesis Museum of Creation Research, you will find scientific evidence for a young and specially created earth, and vast evidence of a worldwide, catastrophic flood as described in the Bible. It houses displays of dinosaur, mammal and marine fossils, including our iconic fossil crocodile skull, partial mosasaur skeleton and jaw, dinosaur eggs, woolly mammoth and rhino teeth and bone, ammonites, trilobites, fish, petrified wood, fossil jellyfish, polystrate fossils, sharks, fossilised teddy bear, and much, much more! Other exhibits include a scale model of Noah’s Ark, life size models of pterodactyls, and dinosaurs, and archaeology and natural history displays. The Museum also has a small shop where you can purchase books, dvds and fossils that will help strengthen your faith. Entry is free, and part of the unique visit includes a personal tour and explanation of the exhibits by the museum’s founder and director, Joseph Hubbard (for more information about Joseph Hubbard, see Our History, and Creation Research UK). The Museum is based near Fakenham in North Norfolk. Booking is essential, see Visiting the GMCR. Our Museum ministry has been visited and commended by several members of major Christian organisations, namely, Steve Ham and Neil Seeds of Answers in Genesis, Philip Bell of Creation Ministries International, John Mackay of Creation Research, and Paul Garner and Matthew Pickhaver of Biblical Creation Trust. For more about who we are, our history, and our beliefs, select tabs from the ‘About’ icon.